Vote forKununurra, WATop Regional Destinations Which are Australia's must-visit destinations? You help us decide. While the entire Kimberley region of Western Australia is worth exploring for those with extended time, focusing one's travels around the lovely little hub of Kununurra in the region's far east and using it as a springboard for a range of potential intriguing travel spots and natural features provides a mixture of both escapism and flexibility. Long a harsh and distant destination limited mainly to the stuff of travel dreams, the town of Kununurra has developed over time to have more of an infrastructure for travellers wanting to embrace the Kimberley's many wonders firsthand. With remoteness as its major drawcard, accessing in may take a combination of time and effort, but in terms of raw escapism the town is hard to beat. Kununurra sits in an isolated location close to the state's border with the Northern Territory, and is both functional and rich in character ts signature highlight is the surprisingly excellent Hoochery Distillery (the oldest of its ilk in Western Australia) that's both a delight for rum drinkers as well as a spot at which to enjoy a quality meal in the presence of eternally-friendly staff. The rest of the town-adjacent entertainment is largely oriented around taking things easy; enjoying a drink, browsing its galleries, driving the short distance to Lake Kununurra itself for a dip, or making the walk to the top of Kelly's Knob for a lovely overview of Kununurra - or to soak in a gorgeous sunset. Of course, few people would travel the vast distances required to reach Kununurra simply to spend a few days in an outback town, however charming, and it's in the many gorgeous surrounding natural offerings that it shines. The town offers plenty of potential adventures to in which explore this gorge-and-water pocketed landscape, and while several of its attractions require an all-terrain vehicle to explore in full, many of them are accessible with a traditional 2WD car as well. From the enormous expanse of Lake Argyle, to the scenery of Mirima National Park closer to town, to the wonderfully rewarding walk of Emma Gorge, there are numerous locations nearby that you simply can't replicate elsewhere in Australia. If you're looking to explore the region's offerings, then be sure to bear Kununurra in mind as a base. If you need guidance when in-destination, be sure to visit the good folks at the Kununurra Visitor Centre to make your trip an even more enjoyable one. Looking to pay a visit to Kununurra but not sure what to do? Here are some of the most essential experiences. What's new in Kununurra in 2017/2018? Talks have begun to establishing a world-class white-water facility near Kununurra's Diversion Dam. A robust wet season has stimulated waterfalls in the greater Kununurra region, making for some spectacular landscapes that are a boon for travellers. 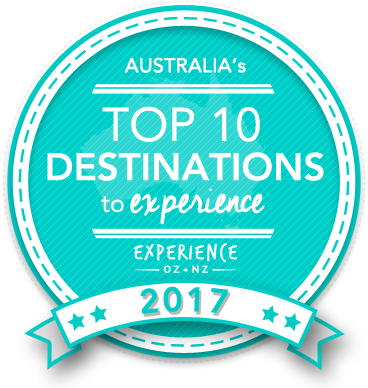 Is Kununurra Australia's Top Regional Destination to Experience for 2017? Vote now for the chance to WIN an epic trip to one of Australia's top destinations!